Eddie Carter, CEO, C&C Fabrication Co., Inc.
For nearly 50 years, C&C Fabrication Co., Inc. has built a reputation for its precision and versatility in metal fabrication. The secret to C&C’s ongoing success rests with our unique combination of state of the art equipment, leading-edge technology, experienced personnel, and central location to all type of transportation. Located just south of Huntsville, Alabama in Lacey’s Spring, C&C Fabrication brings a reliable combination of American Quality and Alabama Values to each of our customers. 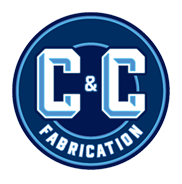 "C&C Fabrication is a valued vendor to our company and has been for many years. C&C has assisted in prototype design development for manufacturing as well as production manufacturing. C&C Fabrication is a valued vendor in Fabrication and Machining of all types of material. They have always strived to meet the aggressive delivery dates required by our organization. They offer Quality and Value in the manufacturing industry." The secret to C&C's ongoing success rests with our unique combination of state of the art equipment, leading-edge technology, experienced personnel, and central location to all type of transportation. Located just south of Huntsville, Alabama in Lacey's Spring, C&C Fabrication brings a reliable combination of American Quality and Alabama Values to each of our customers. © 2019 C&C Fabrication | Metal Fabrication | Precision Fabrication | Quality Fabrication.